Have you ever felt an excruciating pain in the elbow and outer side of your upper arm that makes you feel like you are walking on a tightrope? Does the area above the elbow look a little swollen too? If so, then you could possibly have a ‘tennis elbow’. Tennis elbow is an injury of the tendons in the elbow and upper arm, which results in swelling and pain. You are not comfortable moving your arm, due to a piercing pain. If you do not know, tendons are like bands of tissue that bind the muscles to the bones. Excessive stress on the on the muscles can cause the tendons to strain and ache. Tennis elbow usually takes a while to develop. Engaging in sports like tennis, badminton, javelin, baseball, fencing and weight-lifting lead to stressed muscles and painful tendons in the upper arm. If you like to knit, paint, type and indulge yourself in some carpentry, you are at a risk of developing a tennis elbow due to the repetitive nature of the hand movements. Nevertheless, there is a solution to every problem. You can treat a tennis elbow at home. Take a look at these straightforward home remedies and choose the one which you find the most suitable. Treating a tennis elbow with an ice-pack is a great way to reduce swelling as well as pain. The chilliness of the ice relaxes the strained muscles, which eases the swelling and the pain. Grab that ice pack and dab it over the aching area of your arm for 15-20 minutes. Do this twice a day for instantaneous respite. A light exercise is very necessary to keep the muscles from getting more rigid. 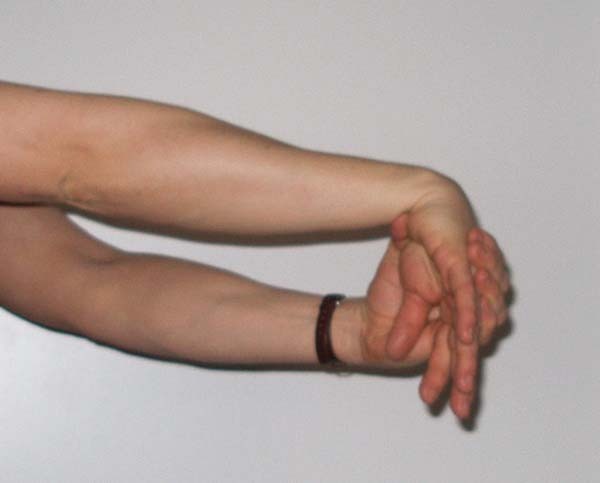 Hold your affected arm perpendicular to your chest and clench your hand to form a fist. Gently hold the upper part of the fist and push it forward so that it faces the ground. Hold it for 10-15 seconds and bring the fist in its original position. Similarly, gently pull the fist by its upper part inwards, so that it faces the roof. Hold it for 10-15 seconds and bring the fist in its original position. Now, repeat it 5 times to keep your muscles pliable. Cabbage leaves have a soothing effect on a tennis elbow. Soak some cabbage leaves in water for half an hour. Hold the leaves against the painful area and wrap a cloth to strap up the leaves to your arm. Leave the cabbage to work overnight. Who doesn’t love potatoes? They are the most versatile veggies ever! You can make yummy French fries, delectable burger patties and a warm, soothing pack out of the very same potato! 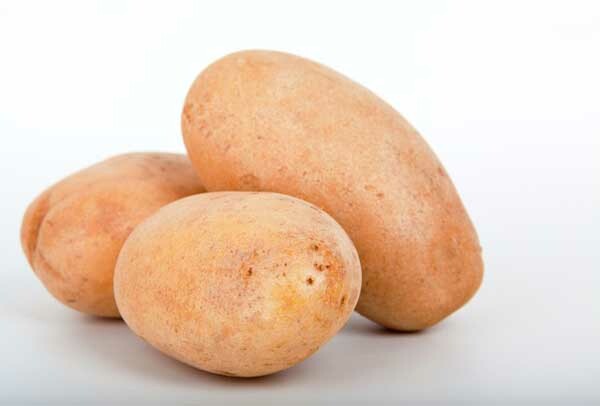 Boil a potato, let it cool down a bit and then peel it. Mash it in a bowl and apply it onto the affected area. Wrap a cloth like a bandage and leave it for half an hour. You would be amazed to see your swelling diminish in a matter of minutes. Resting is the best way to recover from a mild episode of tennis elbow. Lie down comfortably and rest the hurt elbow in a comfortable position. You can rest it over your chest as you lie down. I know it’s so boring to lie down and put up with a swollen elbow. Why not grab a good book to read as you rest? An elbow strap or brace helps contain the damage. Wear a strap/brace just below where the elbow hurts. Make sure it’s below and not over the aching part. 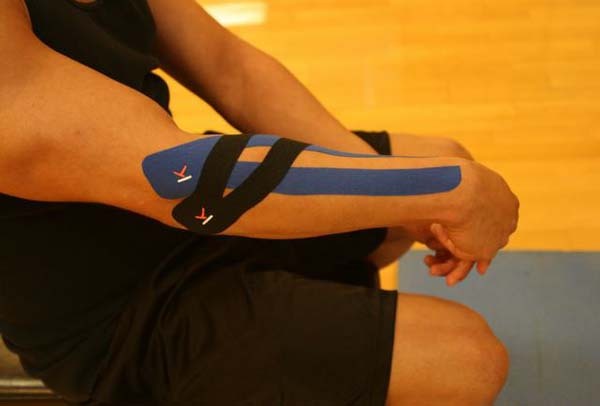 This would prevent the muscle from further damage during the recovery process. Everyone has a stash of OTC painkillers at home. If you think the pain is too much to bear, but too little to go see a doc, you can always pop an aspirin or ibuprofen. Just make sure you aren’t exceeding the recommended dosage. Rosemary is an herb with an enticing aroma. Very few people know that rosemary has anti-inflammatory properties as well. Steep 2 spoonfuls of rosemary in a 1 liter jar of boiling water for 30 minutes. Let the solution cool till it’s warm. Soak a cloth in the solution and place it over the sore elbow. Do this twice a day for 20 minutes for immediate pain relief. Ginger in an amazing anti-inflammatory agent. 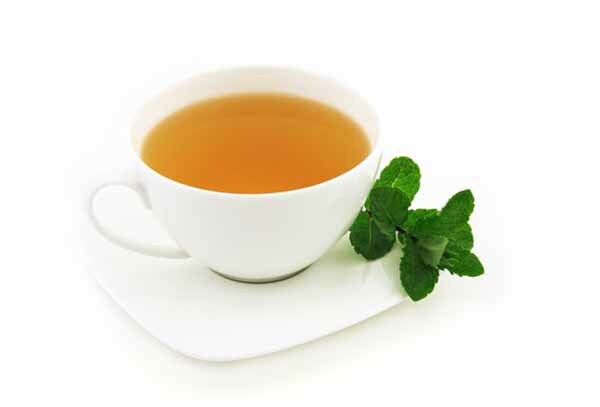 You can take in ginger by drinking ginger tea. 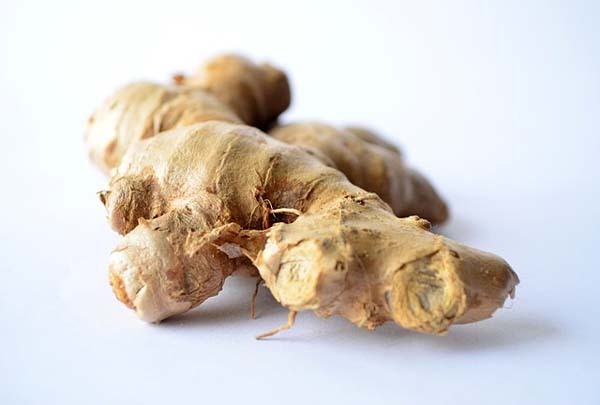 Drink it 2-3 times a day to infuse ginger’s goodness into your system. It would work great on your tennis elbow. Pineapple is rich in Vitamin C and bromelain, which an anti-inflammatory enzyme. Eat pineapples when you get a tennis elbow. The instant supply of vitamin C and anti-inflammatory goodness accelerates the healing process, alleviating your agony. Green veggies such as spinach, fenugreek and cabbage are fortified with antioxidants and loads of nutrients such as iron, vitamins and zinc. Eat lots of green veggies to speed up the recovery process. 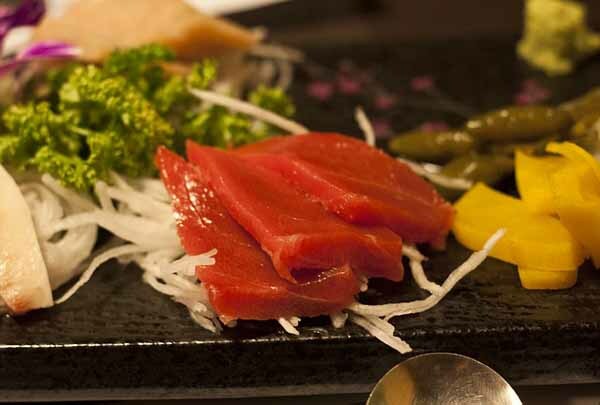 Protein is the building block of muscles and tendons. When you have a tennis elbow, you basically have damaged tendons and muscles. So, eating foods rich in protein, such as soya and chicken, help repair the damaged muscles and tendons. Do You Like Barley Bread? Barley bread is the best alternative to the usual white bread. Barley is known to have anti-inflammatory properties. Introduce barley in your diet and see for yourself how this wonder food works magic on your injury from the inside. Omega-3 fatty acids help maintain healthy muscles and tendons. Grilled or baked, eat mackerel, tuna or salmon for a quick revival from your injury. Eat lots of fresh celery because it helps assuage the discomfort from a tennis elbow. Alternatively, you can blend a bunch in a juicer and drink fresh celery juice. Carrots are rich in vitamin A, a type of beta-carotene. No wonder bunny rabbits love carrots. Vitamin A is vital for the production of collagen and helps maintain a healthy muscle mass. Drink a glass of carrot juice for extra goodness. Throw in a beetroot to make it yummier. Fenugreek helps reduce tenderness of muscles and tendons. Take a big spoonful of fenugreek seeds and a cup of milk. Blend it together in a mixer to form a smooth paste. Apply it onto your sore elbow and leave it for an hour. Is There Some Turmeric Oil? Turmeric is loaded with medicinal properties. Turmeric oil is easily available in the market. Massage your elbow with turmeric oil before you lie down to rest. No no! We are not talking about our galaxy here! 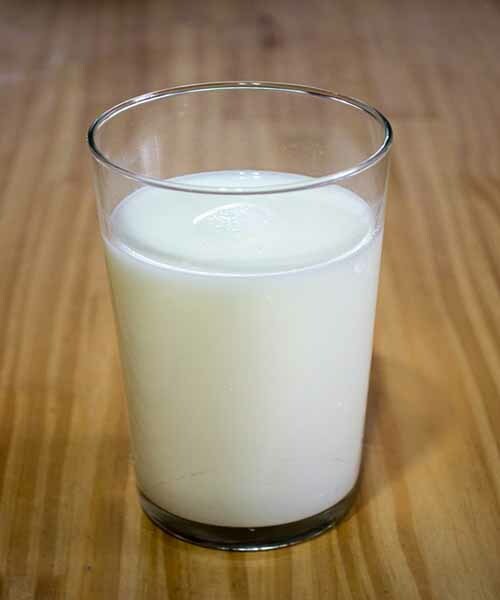 We are talking about the bottle of silky white milk sitting in your refrigerator. Boil a glassful of milk with half teaspoon of turmeric and some sugar to taste. Strain it, and sip on it while still hot. Milk infused with turmeric should be had before going to bed for a noticeable relief. Mustard oil will bring your swollen arm back to normal and also ease the pain. Gently massage your elbow and surrounding area with mustard oil. It would enhance the blood circulation and bring down the soreness quotient. I cannot imagine my world without garlic. I love the way it smells and tastes when added to food. But I think it smells really bad in its raw form. And now, it looks like it has more uses that just repelling the vampires. Add some extra cloves of garlic to your meal. Alternatively, you can rub freshly crushed garlic onto your sore elbow. Garlic is an anti-biotic and anti-inflammatory ingredient and it would ease your swelling and pain. I know broccoli looks like brains, no wonder it makes you smart! So, grind some broccoli into a smooth paste. Apply this pack to the affected area of the arm and wrap it up with a cloth bandage. Let it stay for half an hour and wash off with warm water later. Being an anti-inflammatory agent, it would ease the swelling of the tendons. Berries and nuts are good for you. They are packed with nourishing elements and strengthen your body. You can have a handful of nuts and fresh berries of your choice any time of the day and make your muscles brawny. Green tea is a super food. It purifies your blood; it’s good for your tummy and skin. It works on the entire body, like it has some magic. Drink a couple of cups of green every day. The anti-oxidants and anti-inflammatory properties can heal your aching elbow at a faster pace. You definitely don’t want to do further damage to your elbow. It is vital you perform the flexor and extensor exercises mentioned in tip no. 2 correctly. Keep away from gym. Avoid lifting heavy objects and engaging in contact sports and other activities calling for repetitive hand movements. 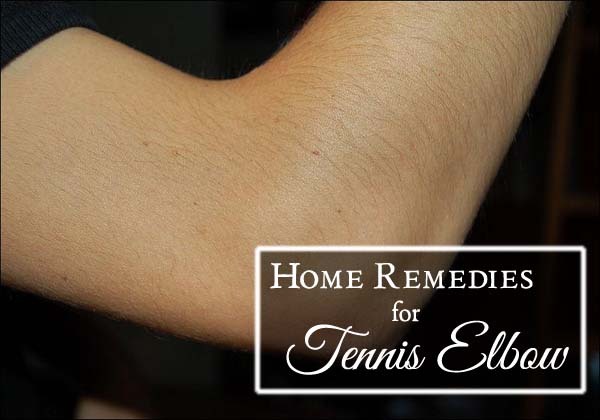 You can easily treat a tennis elbow at home, provided it is a mild or moderate case. It is advisable that you seek medical help if you have encountered a serious episode of the terribly painful tennis elbow, in order to avoid further complications.